It’s a new season. For me, September has always been the month when I set my goals for the year ahead. I begin this process my examining my purpose and my intentions. In terms of this venture, my intention is to grow Curated Life into a platform that will allow us to learn from each other’s journey. 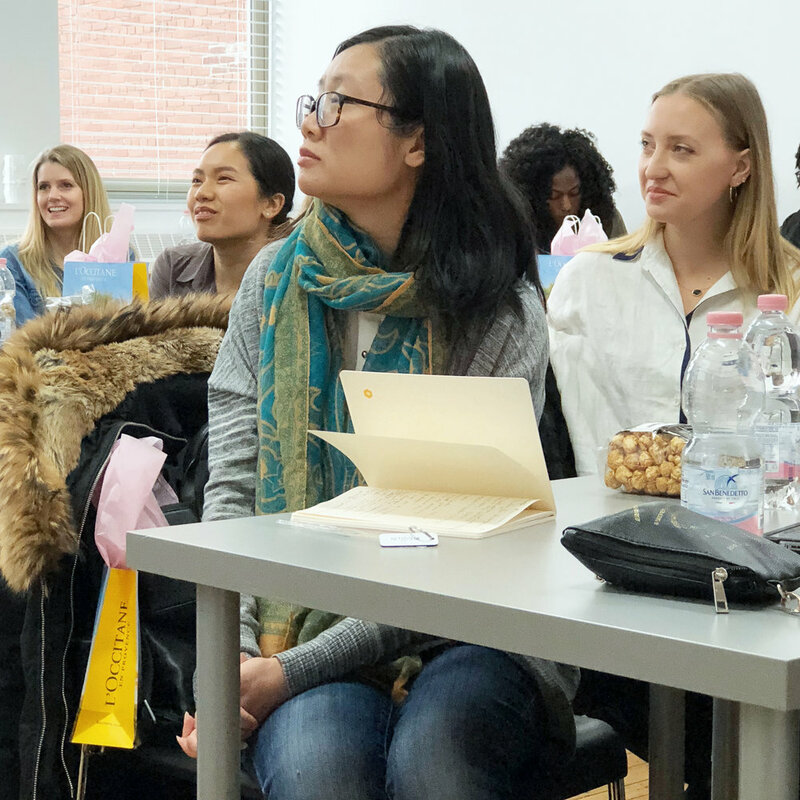 In doing so, I knew that it would be important for us to connect face-to-face through our MASTERCLASS event series. It’s been almost a year since the launch of Curated Life and I am so grateful to see this dream come alive. A defining moment in Alyssa’s journey was centered on her mother’s health and recovery. This experience led Alyssa to researching the nasty chemicals often found in mainstream feminine hygiene products. Alyssa decided to ensure that her company would provide healthier options to women and destigmatize periods; empowering women locally and abroad. “It was important for me to couple this indulgent service of having organic products delivered to your door with a conscious lens,” Alyssa explained. As a result, Easy Period donates 5% of profits to ZanaAfrica Foundation, a non-profit that delivers pads and health education to girls in Kenya. As one of the most powerful beauty retailers in the world, Sephora frequently uses its influence to buoy emerging brands and support women-owned brands like Kate Von D, Bobbi Brown, Briogeo and many more. This month Sephora contributed luxe false lashes from their signature collection. These lashes are designed to add fullness and length to your lashes. The material is soft and flexible so it fits to your eye shape easily. The lashes come in an attractive and durable case for storage. With proper care, these lashes can be worn up to 30 times. These lashes are exclusively available at Sephora for $21CDN. Canadian and female-founded, Upnorth Naturals is a natural hair care line for curly-textured hair. Upnorth Naturals generously provided samples of their 8 –oil blend for dry hair. This oil blend contains coconut, avocado, lavender, neem, grapeseed, jojoba, rosemary and sandalwood oils. The blend can be used as a pre-shampoo hot oil treatment or as a styling product. The full sized product can be purchased directly from Upnorth Naturals for $14.99CDN here, www.upnorthnaturals.com. The Body Shop was established by OG Girl Boss, Anita Roddick, in 1976. Her vision was to use her business as a force of good – there wasn’t a name for it back then, but that business model is called “social enterprise”. This year the brand renewed this commitment by announcing their mission to “Enrich, Not Exploit,” making it one of the most recognizable and innovative conscious beauty brands. MASTERCLASS attendees received The Body Shop’s Himalayan Charcoal Body Clay. This clay uses the power of charcoal to draw out impurities from the skin. Use this clay as part of your at-home spa experience to help de-stress and rejuvenate your senses. This clay is available at The Body Shop for $24CDN or online here. Access Community Capital Fund is a Canadian registered-charity that provides micro-loans up to $5000 for individuals looking to elevate their standard of living through entrepreneurship. Access Community Capital Fund can be found online at www.accessccf.com. Curated Life magazine is something I dreamed of putting together for years. I filled notebook after notebook with ideas, before mustering enough courage to begin the work. In this publication, I hope to capture the essence of the supportive sisterhood of our Curated Life events in a way that could be shared online and in print. We are currently preparing our second issue. Until then you can continue to read and download digital spring issue for free here. Below are a few more photos from the event. You can also follow our journey by following @curatedlifeca or using the hashtag #mycuratedlife on Instagram and Twitter. If you missed this event, don’t worry. MASTERCLASS events are now bi-monthly. Save the date for Friday, November 18th, 2016. If you’re interested in learning how you can sponsor an event or advertise in the magazine, feel free to email hello @ curatedlife.ca. Happy Civic long weekend everyone! First of all, can I send a huge thank you to everyone who attended this Friday’s MASTERCLASS. I know you could have been either at the cottage or getting ready for other festivities in the city. I am so grateful that you decided to start your weekend with us. When I was preparing for this week’s event, I came across a program from the first event I ever coordinated. It was 12 years ago and I was only in high school, but it was the first time I truly saw myself as an entrepreneur. Since then my academic pursuits took me in a different direction, but I always found entrepreneurship to be my creative outlet on the side. 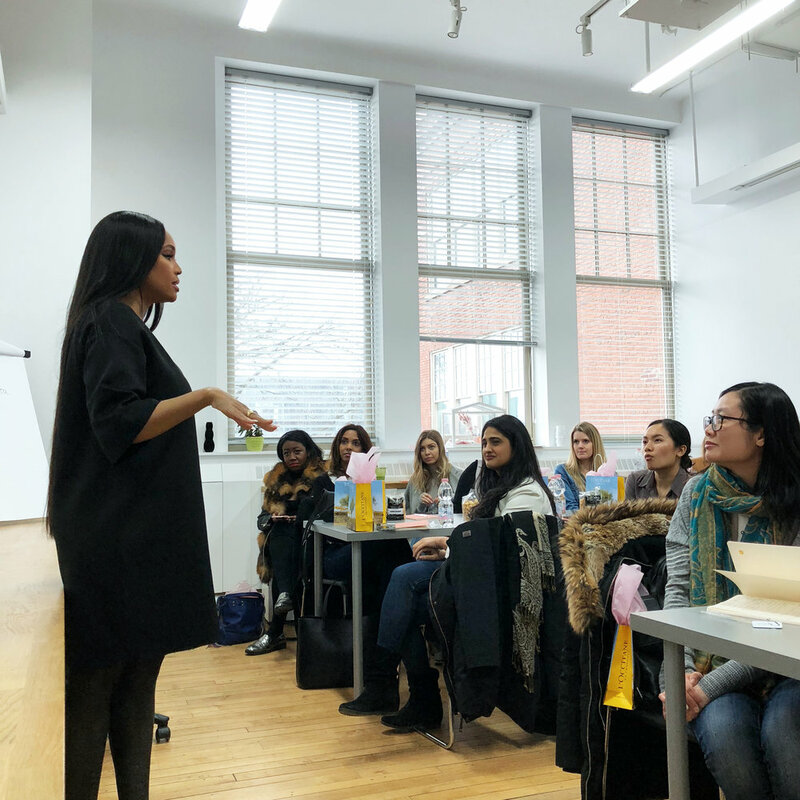 Like other women entrepreneurs, my business began when I felt unsatisfied (and a bit frustrated) about not finding the opportunities I wanted within the structured environment of a traditional workplace. So, I felt like I had to go out and create the opportunity for myself. In some ways, being an entrepreneur has turned me into a D.I.Y. wonder woman but it has also taught me the value of mentorship and a supportive network. Mentors, in business or in your personal life, can help you along your journey by offering advice and wisdom they’ve gained on their own journey. Mentorship can be formal or informal. Your mentor can act as a coach when you need to be challenged or a cheerleader when you need a boost. Your mentor can be more experienced or even a peer. This is why I wanted to create an anthology of stories and resources by and for millennial women entrepreneurs through Curated Life magazine. I wish to grow Curated Life into a platform that will allow us to learn from each other’s journey. In doing so, I knew I that it would be important for us to connect face-to-face. And so, I launched the MASTERCLASS event series in January. 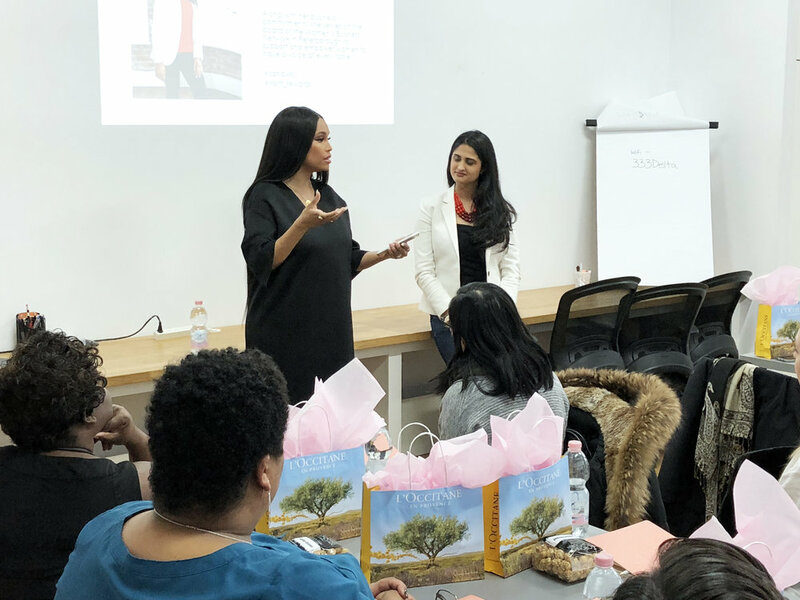 At each MASTERCLASS, you will be connected to community resources that will help you start or grow a prosperous business. Emily starting her talk with a quick mindfulness exercise. Our refreshments and gift bag swag. Details below. This event would not be all that it was without the generous support of our in-kind sponsors. I’m extremely appreciative of the gifts they’ve allowed me to pass on to you. I would like to send a special thank you to Panago Pizza for including our event in their #randomactsofpizza campaign. 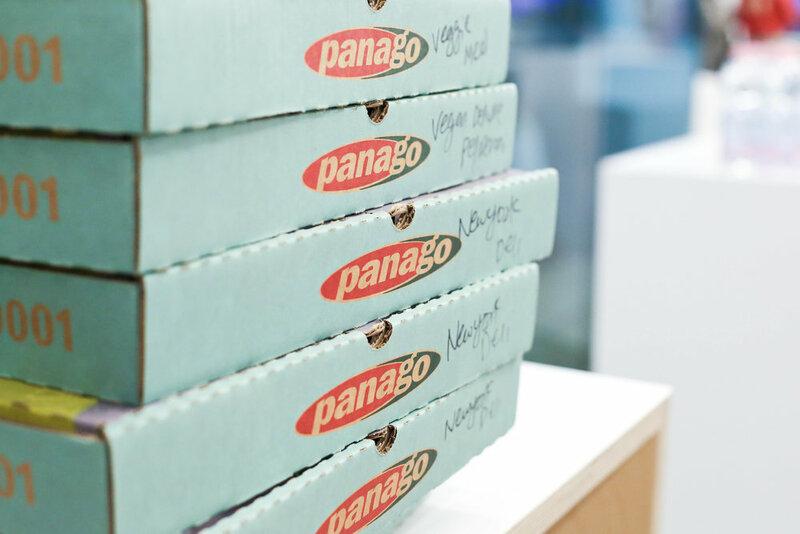 Panago Pizza provided delicious food that accommodated different dietary restrictions/lifestyles (including vegan ‘za). Guests were also provided with a voucher for a free Chocolate Chunk Pretzel Cookie with Caramel Dip (sweet!). Find your local Panago or order online. Like a true girl boss, Kat Von D has used her business acumen to take her on a journey from tattoo artist to global beauty phenomenon. The Shade + Light Eye Contour Quad can be used to transform your eyes through the art of colour contouring. Each quad contains a base colour and additional eye shadows to define, contour and highlight the eye. The palette is available in four colours: sage, rust, plum and smoke. The quad is exclusively available at Sephora for $34CDN. Established in Barcelona, Papabubble is all about artistic and innovative sweets that are handmade with love. New to Toronto, this artisan delight is made right before your eyes in their downtown boutique. The candies are made using just 5 simple ingredients and can feature custom made designs for your business or special event. You can check out the Toronto boutique at www.papabubbleto.com or visit in-person at 3360 Yonge Street (at Melrose Ave). I love The Body Shop for so many reasons (read that post here). For one thing The Body Shop was established by OG Girl Boss, Anita Roddick, in 1976. Her vision was to use her business as a force of good – there wasn’t a name for it back then, but that business model is called “social enterprise”. This year the brand renewed this commitment by announcing their mission to “Enrich, Not Exploit,” making it one of the most recognizable and innovative conscious beauty brands. MASTERCLASS attendees received The Body Shop’s Vitamin E Aqua Boost Essence Lotion, which designed to quench thirsty skin for up to 48 hours. The formula is light weight so it absorbs easily into skin and it is made with naturally-sourced hydrauronic acid. You can layer this lotion under a cream to prepare your skin for the day. The lotion is available at The Body Shop for $20CDN or online here. In the spring/summer issue of Curated Life magazine, we discuss the importance of shopping consciously. This is because the products you consume can have a great impact on people and planet. This is why we were so pleased to learn that Holt Renfrew’s H Project has partnered with Boxed Water to replace the plastic water bottles distributed in-store. Boxed Water has a lower carbon footprint and is 100% BPA-free. And if you’re in the area, be sure to check out Holt Renfrew’s newest location at Square One Shopping Centre in Mississauga, Ontario. The 130,000 square foot store has amazing live installations this weekend which include fashion illustrations by Monica Smiley and cold-pressed juices from Village Juicery. 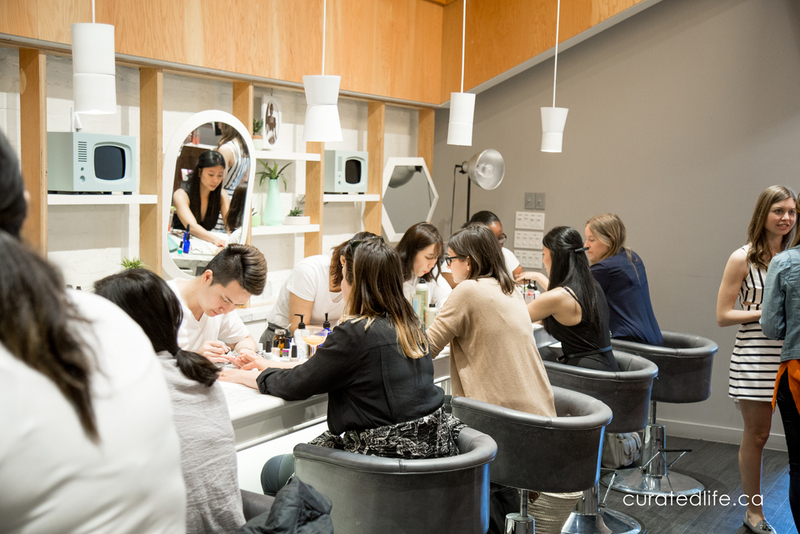 Holt Renfrew Square One will also offer Bespoke services that include a Leather Artisan, Nail Bar and Beauty Lab. View store address and hours here. Recently launched, Easy Period is a subscription service that delivers organic feminine hygiene products directly to your door (bonus: each box comes with a fair-trade chocolate bar). The company’s founder came up with the idea after wishing her tampons would magically appear at her door and never run out (don’t we all have that wish? Urgh, #lifeofagirl). But, it was after researching the nasty chemicals often found in mainstream brands, that she decided to step in by establish a company that provides healthier options to mainstream tampons and destigmatize periods; empowering women locally and abroad. Easy Period donates 5% of profits to ZanaAfrica Foundation, a non-profit that delivers pads and health education to girls in Kenya. Learn more at www.easyperiod.ca and be sure to look out for a feature about the company in the next issue of Curated Life magazine. Access Community Capital Fund is a Canadian registered-charity that provides micro-loans up to $5000 for individuals looking to elevate their standard of living through entrepreneurship. Access Community Capital Fund has also partnered with Ignite Capital to offer an opportunity to compete for $20,000 of business funding. The competition closes on September 2, see www.ignitecapital.ca for application details. Access Community Capital Fund can be found online at www.accessccf.com. An awesome way to end an awesome night! If you missed this event, don’t worry. MASTERCLASS events are now bi-monthly. Save the date forFriday, September 23rd ,2016. The topic and speakers are to be announced shortly. 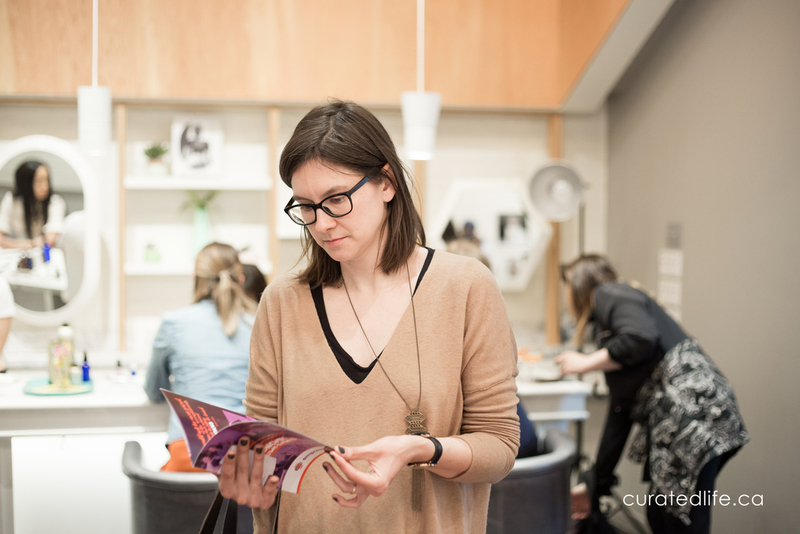 If you’re a company interested in learning how you can sponsor an event or advertise in the magazine, feel free to email hello@curatedlife.ca. Until then, please enjoy a few more photos below. You can also follow @curatedlifeca and #mycuratedlife on Twitter and Instagram. In May 2016 we celebrated the launch of Curated Life magazine at Her Majesty's Pleasure in Toronto, Canada. 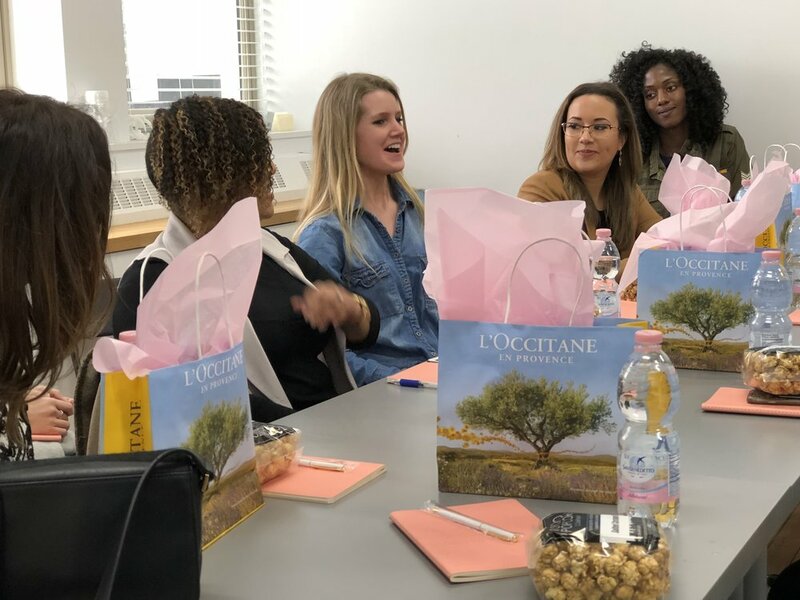 The event was attended by recording artist, Liz Loughrey, CEO of the[fix], Dr. Liza Egbogah , blogger/image consultant Tara Leydon and members of the Peace Collective. 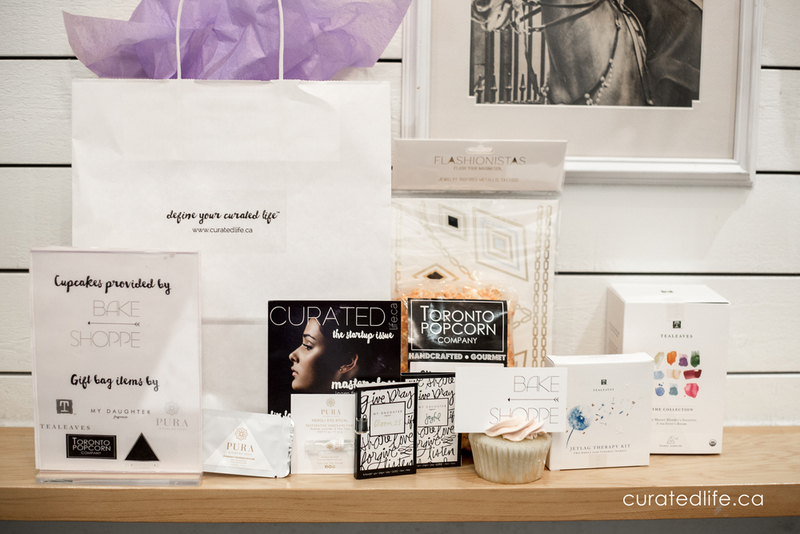 Last Friday, we celebrated the launch of Curated Life magazine at Her Majesty’s Pleasure with Toronto influencers and our community supporters. 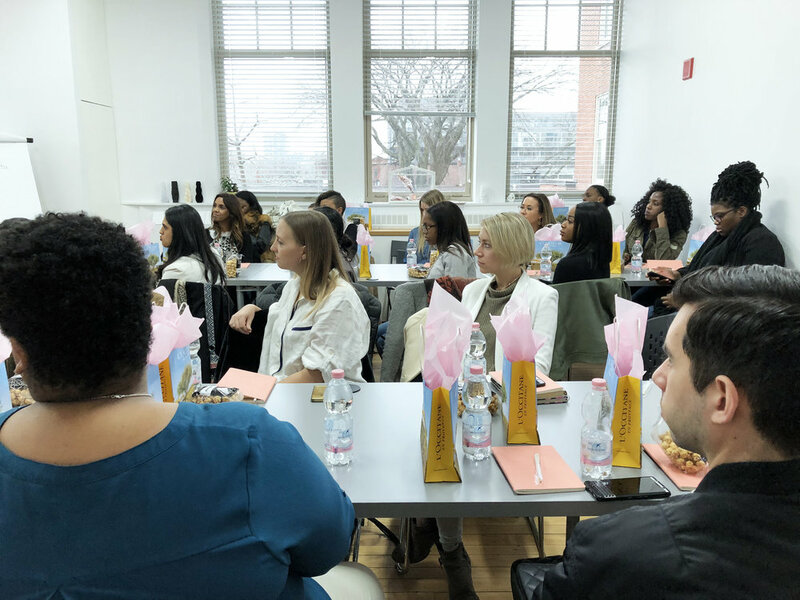 The event was attended by recording artist, Liz Loughrey, CEO of the[fix], Dr. Liza Egbogah , blogger/image consultant Tara Leydon and members of the Peace Collective. The event also marked the upcoming season of MASTERCLASS events which will resume in July. For those who haven’t heard of the venue, Her Majesty’s Pleasure is a beautiful salon/spa and cocktail bar located in the King West Village of Toronto, Canada. Just before the long weekend, it was the perfect time to pamper our guests with a complimentary nail polish change. Guests also enjoyed decadent cupcakes from our second-time sponsor, the Bakeshoppe. 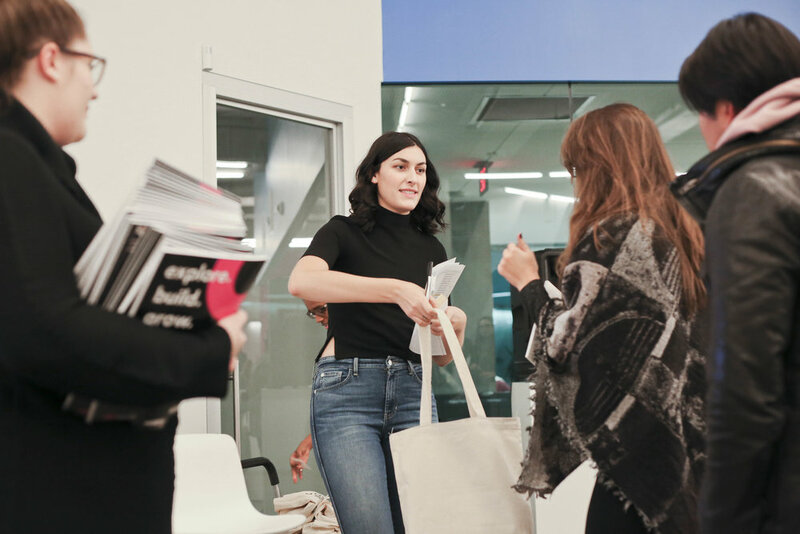 Like all Curated Life events, the launch provided a networking experience for millennial women entrepreneurs and professionals. Guests in attendance were also able to view the first copies of Curated Life magazine. If you were not able to attend the event and would like to purchase a hard copy, you can do so here. Most of the price covers the cost of printing, but $5 from every copy sold will help fund editorial projects for our second issue. A carry on essential, the Jet Lag Therapy kit contains two masterblend teas – Energy and Relax. Energy is an invigorating blend of mint, citrus, yerba maté and ginkgo biloba to help keep you focused. And Relax is a floral, caffeine-free blend to help you ease into a peaceful sleep. This sampler is a collection of Tealeaves’ top 10 masterblend whole leaf teas. Each blend is packaged in a convenient pyramid tea bag for easy enjoyment. The sampler includes flavours like Organic Earl Grey with Lavender, Vanilla Rooibos and Monsoon Chai. Established by husband and wife, Joseph and Caramhel Villegas, Toronto Popcorn Company has quickly become a main attraction at Kensington Market. With over 100 flavours of gourmet popcorn, from classic caramel to cupcake, it is a foodie paradise. 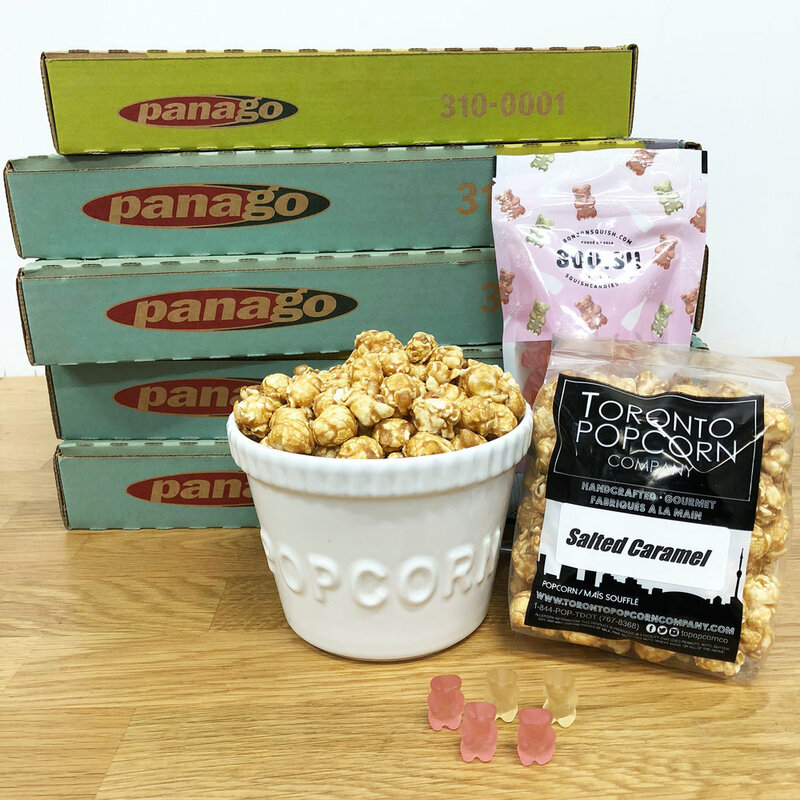 Toronto Popcorn Company has generously supplied grab bags as a perfect take-home snack. Glowing skin is always in season. Try this ultra-hydrating overnight mask made with all-natural ingredients. It contains watermelon extract to brighten and nourish with vitamin C, neroli to increase skin elasticity, all-natural silk peptide and aloe to soothe your skin. Made with a blend of botanical humectants like rosehip, lavender and aloe vera, this Neroli Eye Ritual is an overnight beauty must-have. The ritual works to hydrates your delicate under eye tissue and to minimize puffiness. And the full-size ritual is packaged in a roller-ball for easy application. There is so much to love about this fragrance brand. Inspired by a mother’s love for her daughter, each perfume is created in France and bottled by the owner’s family in Alberta, Canada. It is a more natural perfume, free of the harmful chemicals found in mainstream fragrances. Bloom 23 is a blend of regal gardenia, jasmine, ylang ylang and vanilla. And Joyfull is a blend of orange flower, lime blossom, rose, jasmine and sandalwood. Flashionistas is a Canadian line of temporary metallic tattoos you can wear as jewelry. Easy to apply and completely waterproof, these jewelry tattoos are the perfect accessory for the summer! You can even order custom designs for yourself or an upcoming event. (psst! they're on sale!! Use promo code "shiptome" for free shipping). Here are a few more photos from the event taken by Customatic. Our next event will be held in July 2016. Be sure to follow us @curatedlifeca on Instagram/Twitter for updates. See you soon!